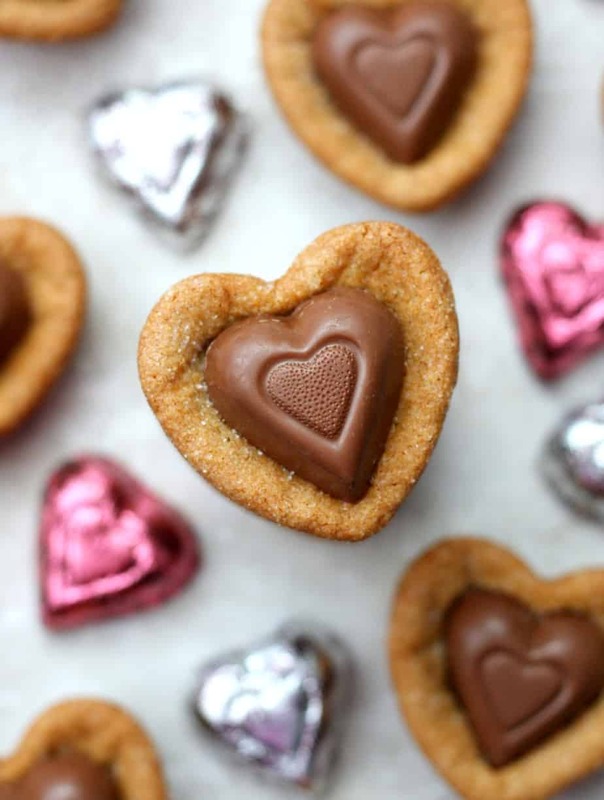 Turn your favorite peanut butter cookies into Heart Peanut Butter Blossom Cookies this Valentine’s Day. 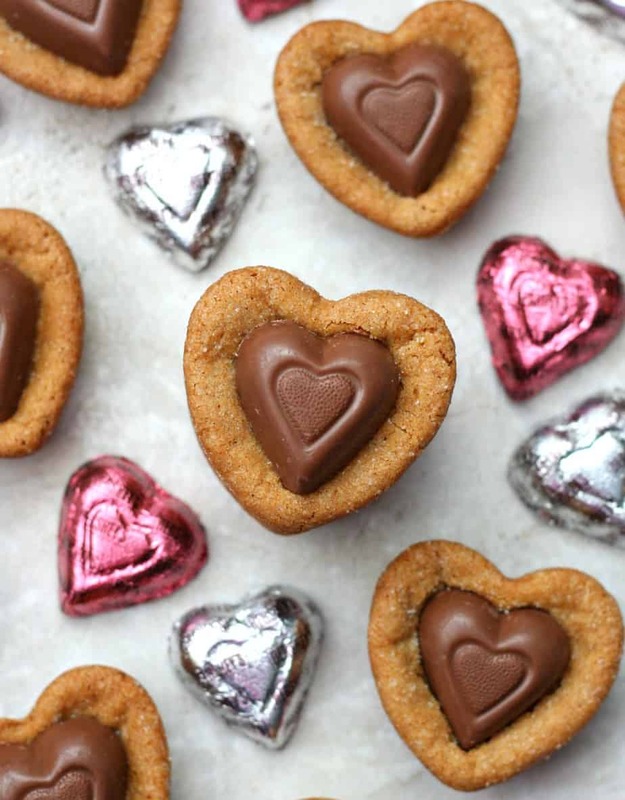 It’s no secret that Peanut Butter Blossoms are the best cookies but what happens when you turn them into hearts? You get the best Valentine’s Day cookie ever! 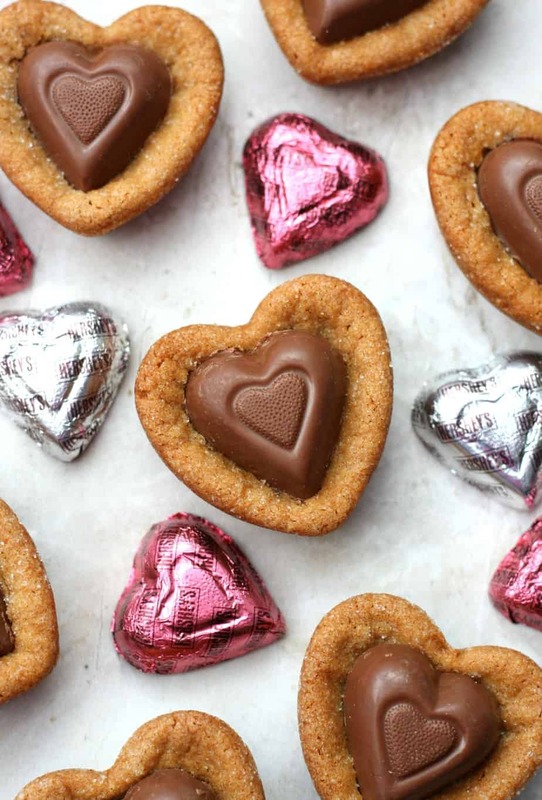 All you need is your favorite peanut butter cookie recipe, heart chocolates, and a heart cupcake pan. These are so fun to make and even more fun to eat. I think I ate four just while I took pictures and I seriously could have eaten them all. And, that doesn’t even include the cookie dough that I ate while making the cookies. We’re going keep things pretty easy around here today. I’ve included my favorite peanut butter cookie recipe but feel free to use refrigerated cookie dough if you want to make them super easy. I’m sure they’ll taste just as good. I also recommend unwrapping your chocolate hearts ahead of time because you’ll want to place them on the baked cookies pretty quickly. So what are you waiting for? 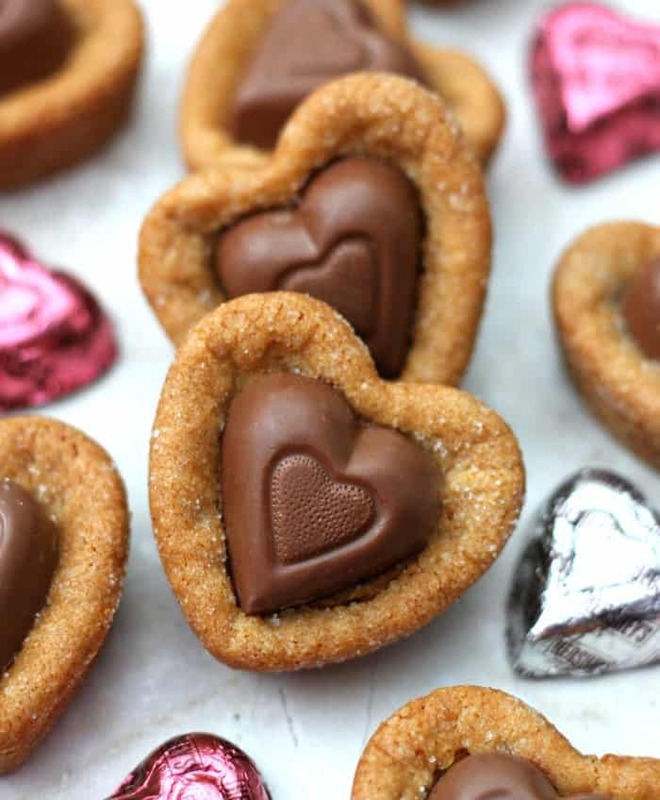 It’s time to make Heart Peanut Butter Blossom Cookies! You can thank me later. Want more delicious Valentine’s Day recipes? 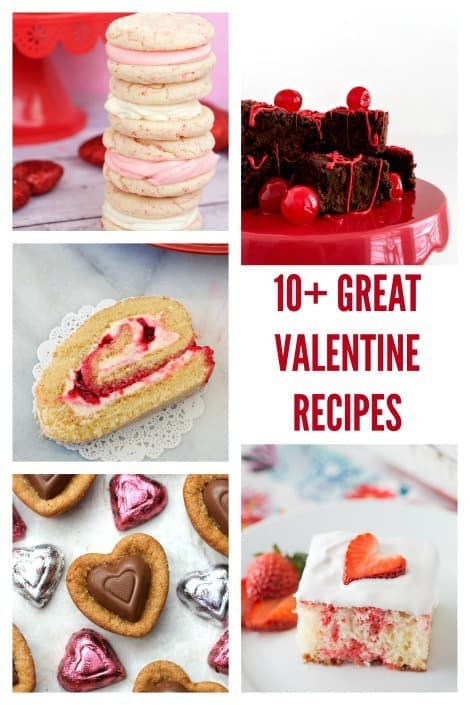 Check out these awesome bloggers and their Valentine’s Day Treats. Peanut butter + chocolate. Yummy! Thank you for sharing as part of the blog hop.